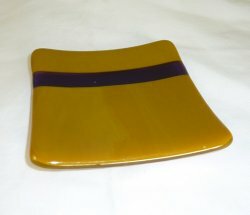 Mustard fused glass soap dish by BJ Arnold. 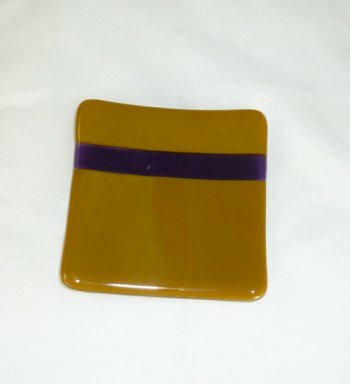 This little dish can be used for soap, trinkets, pins or just show off on it's own. It is 4" x 4".